More fire departments are switching to Darley pumps than ever before. Odin has the facilities and the qualified technicians to do professional installations of CAFS (Compressed Air Foam System) equipment on the customer's apparatus. Find out more today. 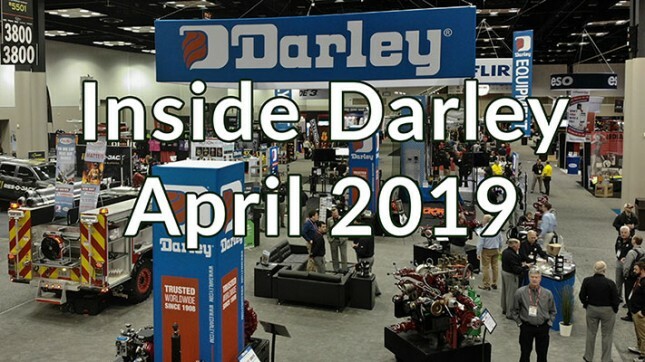 Darley's Ohler Division supplies the military, agricultural, mining, and construction industries with a wide variety of pumps for many different applications. Visit our Ohler Pumps section to learn more. Darley's Robotic platforms can reduce the risk of human life and gather critical information during large scale incident management and scene investigation. Reach out to us to learn more. Darley is a proud manufacturer and supplier of industry leading pumps for use with firefighting and many other applications. Darley pumps are engineered for life to give you consistent pressure and flow while delivering dependability and affordability. Browse through our entire online catalog or download our free digital catalog to find all the pumps you may need for your fire suppression and firefighting needs. We have plenty of diagrams, photos and videos of our pumps and will be happy to help you with any questions you may have. You'll be amazed at the variety of pumps we offer and appreciate all the thought we have put into our products so you don't need to worry when you demand Darley. At Darley, we are proud of all our products which include fire pumps, apparatus, water systems, robotics and more.